Indus valley civilization and Sind in particular was the cradle of world civilizations. 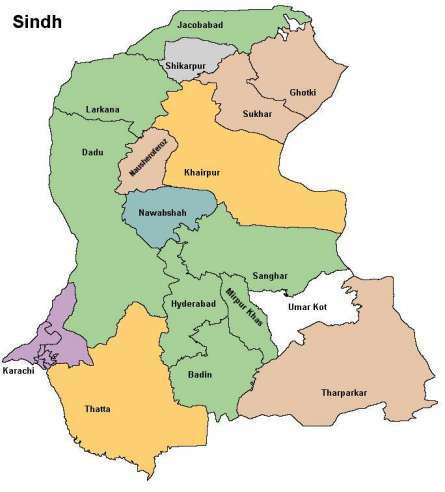 The name Sind is derived from river Sindhu which is called Indus. Our ancient civilisation began here. It is a confirmed fact that Navigation started on the Indus river around 6OOO years ago. We must feel proud of the fact that we originate from such an ancient and cultured country with a recognized civilisation of 5OOO years. There was a Sindhi version of the Mahabharata in 3OO B.C during the Budhhist era of Sind. Vasdeva the Kusha king at that time ordered the listing of all sindhi literary works in 346 A.D . But today there is no trace of these writings But the definite assertion of the existence about these books proves that two thousand years ago , sindhi was already a written language. Hinglaj Devi was last mother queen of Matriarchal era of Indus Valley Another name of Hinglaj Devi is Goddess Naina which is very akin to Goddess Nania of Sumerian Civilization by Jagdeesh Ahuja, Hyderabad, Sindh. We are unfortunate people who disown our own history. Ironically people of India own our monuments of ancient civilization as their sacred religious shrines and we are ever ready to give up our past and destroy our future. What a great alienation and ignorance of our own history! How can one weigh the advantages of destruction of Harappa, Taxila or Mohen-jo-daro!? Hinglaj is even more ancient than these historical sites. Mehargarh and Hinglaj are the monuments of advent of civilization. Legend of Shiva Parpati explains the transition of matriarchal era to patriarchal era. Shiva is the first male god of Sindhu Civilization whose whole Shakti (Power) was enshrined in his spouse Parpati (Hinglaj Devi) that is why she is also called Shakti Devi. It is well known fact that Shiva was the Lord of Indigenous Dravidian people of Indus Valley. When they were forced to migrate to Ganges Valley by Central Asian Aryan invaders, they continued to worship their Lord Shiva there. Long after the Aryans settled in Sapta Sindhva and owned Shiva along with their Lord Indra (God of Storm), people of Ganges valley started to visit the land of their ancestors. Hence the tradition of Hinglaj Yatra took place. We must not forget the fact that the word Hindu itself is nothing but Sindhu. The Persians pronounced Sindhu as Hindu. And later Greek invaders pronounced Hindu as Indu, thence words Indus and India came into existence. Due to our ignorance we have lost sense of our history. Religious and nationalistic narrow mindedness has blurred our vision. Hinglaj doesn’t belong to any single religion or nation only, it is a great asset of Indus Valley and heritage of whole humankind, which should be put in the World Heritage list of UNESCO. Sadhu Bela is a temple on an island right in the midst of the Indus river in Sukkar .The view of the hills nearby is fantastic. Sadhu Bela means :A saint in a jungle.It was established in 1823 by a mystic Baba bankhandi .It is spread over 9 acres Community feast :Langar:Free food for all: is a regular feature along with other daily religious ceremonies Every year on the Urs of the Baba,thousands converge on this holy place to pay respects to him. Very recently,Sadhu Bela was affected by floods.But like Moen Jo Daro,there is a total apathy of the government as well as local people. Quite a few went to countries outside India. Today’s statics :In Pakistan , there are 7O% Sindhis,17% in India and 13% overseas. During British rule in India, a variant of the Persian alphabet was adopted for Sindhi in the 19th century. The script is used in Pakistan today. 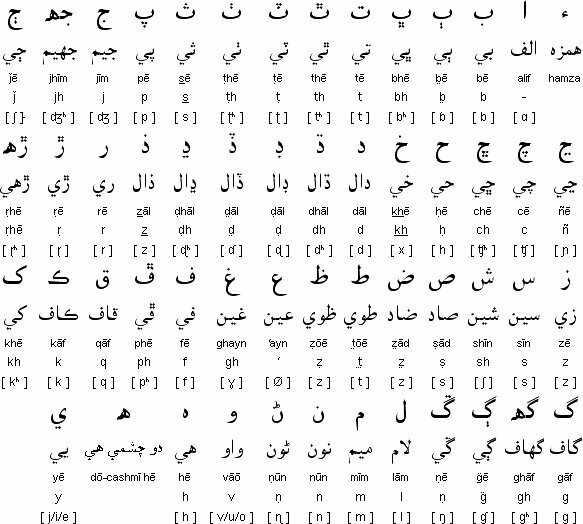 It has a total of 52 letters, augmenting the Persian with digraphs and eighteen new letters (ڄ ٺ ٽ ٿ ڀ ٻ ڙ ڍ ڊ ڏ ڌ ڇ ڃ ڦ ڻ ڱ ڳ ڪ) for sounds particular to Sindhi and other Indo-Aryan languages. Some letters that are distinguished in Arabic or Persian are homophones in Sindhi. 1. Cheti Chand Celebration of the birth of Water god ( Varun Devta ) Sai Uderolal, popularly known as Shri JHULElLAL. So much has been said and written about it that it would be superfluous to repeat the event. In Sindh the beginning of the New Year was considered Cheti Chand . Some businessmen opened new account books; many however, did that on the eve of Diwali. On the full moon day, people used to go to a river or lake and offer 'Akho' with a pinch of rice mixed with milk and flour. If there was no river or 'Darya', the ritual was performed at a well. Even Sikhs went to temples or Gurdwara, because Guru Nanak's birthday also took place on Purnima . 2. Sagra (Sacred thread) Sindhi Bhaibands often lived in foreign countries; therefore, their wives were always worried about the good health of their husbands. For this purpose they performed pooja and fasted on four Mondays of Sawan month, after which they perform pooja, distribute sweet rice and then had the sacred thread tied on the wrist by the priest ( Bandhan ). Here in India, the priests have made a show business which costs nearly 500-800 rupees, a gimmick to knock out money. 3. Mahalakshmi's Sacred Thread (Mahalakshmi-a-jo-Sagro) This sacred thread had 16 strips and 17 days. On the day when the sacred thread was to be untied, it was celebrated as an important day and special savouries like satpura and pakwan of Suji & Maida were made and distributed firstly to the priests and the poor and afterwards the remaining savouries were used by family members. 4. Fasts In Sindhis, generally Mondays & Saturdays, Giyaras or Umaas were observed as fasts ( vrats ). During the fast of Satyanarayan and nine days of Ekaanaas, only one time meal was generally taken. 6. Akhan Teej On this day new earthen pots of water(matkas) were kept and everyone was offered clean and cool water. The significance of this day was to offer water to the thirsty. Hence at every nook and corner, sharbat, with pieces of apple in it, was offered to passersby along with 'prasad' . On this day, it was also customary to send new earthen pots and fruits to priests and Gurdwara. 7. Aunn-Matyo In the month of Sawan, on the Baaras of Krishna Paksha, cereals were changed in food, i.e. instead of wheat and rice, chapatis made of gram flour (Besan) were eaten. 8. 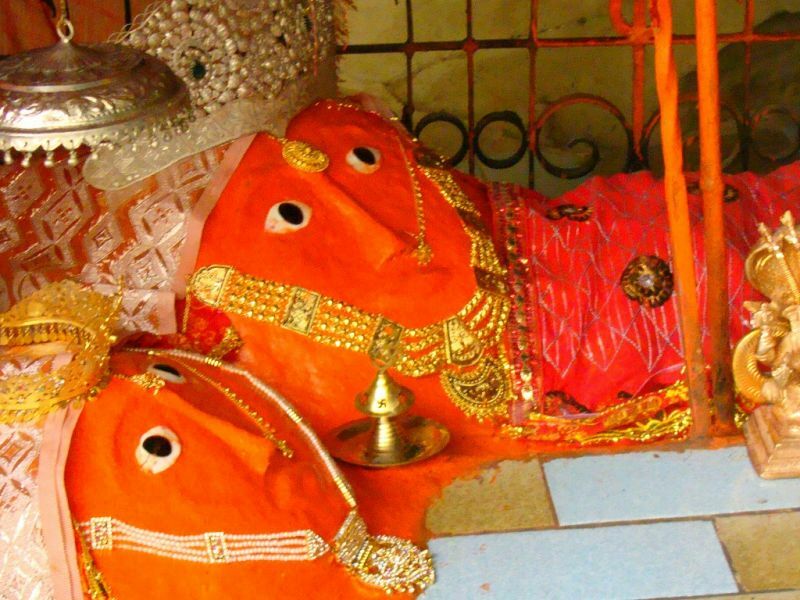 Ban Badhri During the month of 'Bado', during the Baaras of Shukla Paksha, god Varun had taken avtaar . In lieu of that small insects like ants etc. were fed Gur (jaggery) and Musti . Married daughters are invited by their parents for meals. 9. Somavati Umaas During certain months Umaas takes place on a Monday. That day is considered important for having a "dumb dip' in the waters; without talking to anyone early in the morning. It is also, called 'Gungee Umaas" . 10. Nandhi and Vaddi Thadri Both of these take place in the month of Sawan . On the day before Thadree day, people cook lola (sweet flour cakes) and rote (fried cakes) because there has to be no lighting of fire in the house on the Thadree day. The lolas and Rotes are eaten with curd or pickle. On that day drops of water are also sprinkled on the cooking fire to appease Sitladevi Mata. 11. Janamashtami, Ram Navmi and Shivratri Since Krishna was born after midnight, on Janamashtami, bhajans and kirtan are held in temples till midnight. On Ram Navmi, Lord Rama's birthday is celebrated. On Shivratri people drink 'Thaadhal' with some 'bhang' in it, after making offering of it in the Mahadev temple. In the villages and cities, big pots of 'Taahri' (sweet rice) are prepared and distributed among all. 12. Tirmoori On this festive day parents send ladoos & chiki ( Laaee ) made of Tils to their married daughters. On the Makar Sankrant day the sun moves from south to north. It is therefore also called 'utraan' or 'Tirmoori' . In Mahabharat battle Bhisham Pitamah did not breathe his last till ‘ utraan' since on this day there happens flush of light in Dev Lok . 13. Dassehra Few days before Dassehra there used to be Ramlila program which was attended by throngs of people. On the Dassehra day colourful effigies of Ravana, Kumbhkarna and Meghnath were burnt. 15. The Giyaras of Kati Before partition, on this day people in Sindh used to be engaged in giving charity. The whole bazaar would be full with hundreds of beggars and the needy, who would spread a cloth before them, on which people, according to their mite, would throw money, Bhugra, fruits etc. The jugglers used to arrange their Tamashas on the road with monkeys and bears dancing on the tunes played by the jugglers. An atmosphere of gaiety and gay prevailed all through the day. 16. Navratra During this days devotees of Devi ate one meal a day and did not even shave and cut hair. Ladies sang bhajans . In Nagarparkar they used to dance like Garba in Gujrat. 17. Lal Loi Celebrated on the 13th of January every year, during Lal Loi kids used to bring wood sticks from their grand parents and aunties and like a fire camp burnt these sticks in the night with people enjoying, dancing and playing around fire. Some ladies whose wishes were fulfilled offered coconuts in the fire and distributed prasad 'Sesa' ; this continued till midnight. 18. Rakhri During the Purnima of Sawan month sisters tied a Rakhi to their brothers. This day is called "Rakhree Bandhan'. Even the near cousin sisters used to put Rakhis on cousin brothers . Sisters used to come from far off places and towns to specially tie Rakhis to their brothers. There was so much affection and love. Those cities and places where there were rivers or sea, people used to offer coconuts and milk to the God of Waters 'Varun Devta so that those who were traveling in ships and boats should have a safe and sound journey. 19. Shraadh Just as in India the month of September 'Bado' was meant for Krishna Paksha as Pitar Pakhiya. Any member of the family who had died on particular (tithi) day and date, a Shraadh was offered for the solace of the deceased's soul. The Brahmins were given food and Dakhshna. It is said that Arya Samaj carried out a strong movement against Shraadh, but the Shraadhs continued because of the faith of people since they felt that through this method the deceased members of the family are remembered and all the family members have a good gathering. 20. Nagapanchmi (Gogro) During those days whenever the snake charmer brought snakes, they were given some Dakhshna and also milk for the snakes. Nagpanchami is also called Gogro . It is a folklore from Kutch and Gujarat. 21. Holi The festival of colours in which all the young and old join together to express their joy at the change of season. Some people correlate Holi festival with Holika, the sister of Hirnakashyap, mythological father of Bhagat Prahlad.